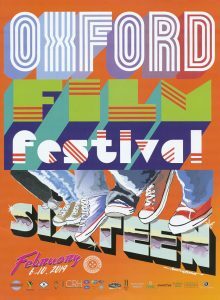 This weekend, the Oxford Film Festival brings its annual celebration of independent filmmaking to town with an assortment of feature-length films, documentaries and creative shorts suited for every taste. Here, you’ll find highlights of this weekend’s events, but the complete schedule for the film festival can be found at www.2019off.eventive.org/schedule. Thursday, Feb. 7 at Gertrude Ford Center – 7:15 p.m.
“Ghost Light” is a midsummer’s nightmare for its protagonists, a group of Shakespearean thespians who take their art very seriously, but a delight for its audiences. Stimpson’s feature-length film portrays a group of actors as they rehearse for a production of Macbeth and navigate the variety of superstitions that come with the storied play. Complete with dark humor and romantic subplots, “Ghost Light” sheds light on the foreign world of those who devote their lives to acting out the works of the Bard. The film has its Mississippi premiere Thursday night, followed by a Q&A with director, John Stimpson, screenwriter Geoffrey Taylor and actor Roger Bart. Friday, Feb. 8 at Malco (Screen 3) – 4:45 p.m. Starring Natalia Dyer of “Stranger Things” fame, “Mountain Rest” examines the fragility of life, the dynamics of mother-daughter relationships across generations and the effects of fame against the backdrop of the Blue Ridge mountains. The film is marked by the breathtaking cinematography of the nature that surrounds its characters — Ethel, an aging actress who has retreated to a miniscule mountain town, and her estranged daughter and granddaughter who come to visit at her request. Its portrayal of the intimacy of the relationships that exist within her family, surrounded by the rolling fog and deep greens of the North Carolina mountains, makes for a stunning debut from Alex Eaton. Friday, Feb. 8 at Malco (Screen 4) – 6 p.m., Encore at Powerhouse at 9:15 p.m.
A feature documentary of this year’s festival, “Don’t Get Trouble in Your Mind” tells the story of the Carolina Chocolate Drops, a Grammy-winning string band from Durham, North Carolina. The documentary follows the band’s efforts to preserve and glorify the African-American role in the formation of folk music, through meeting up with pivotal musicians and providing background to the history of the music the Carolina Chocolate Drops perform, as well as the deeply personal connection each band member feels to the music he or she is creating and performing, in an age where old-time string bands are fading. Saturday, Feb. 9 at Malco (Screen 1) – 9:30 a.m.
Saturday, Feb. 9 at Malco (Screen 1) – 11:45 a.m.
Alongside the festival’s feature films and documentaries, “Ole Miss Film & Theatre Presents” is a collection of student-made shorts, ranging from one minute to 15 minutes in length and varying from music videos and brief documentaries to short films. This array of works gives viewers a chance to see a little bit of everything, all while enjoying the creative expression of university students come to the big screen. Saturday, Feb. 9 at Malco (Screen 1) – 7:45 p.m.
Oxford Film Festival alumnus and Mississippian Glenn Payne presents “Driven” — a rideshare driver picks up a mysterious passenger with a thinly veiled agenda. As her passenger demands more and more stops with bizarre behavior, driver Emerson Graham comes to realize she has become the chauffeur of a demon hunter, landing herself in a fight against the dark forces of evil. Brought to the screen with humor and suspense, the film presents a fantastical look at the perils of thrust upon rideshare drivers. The film will be followed by a Q&A with the filmmaker.